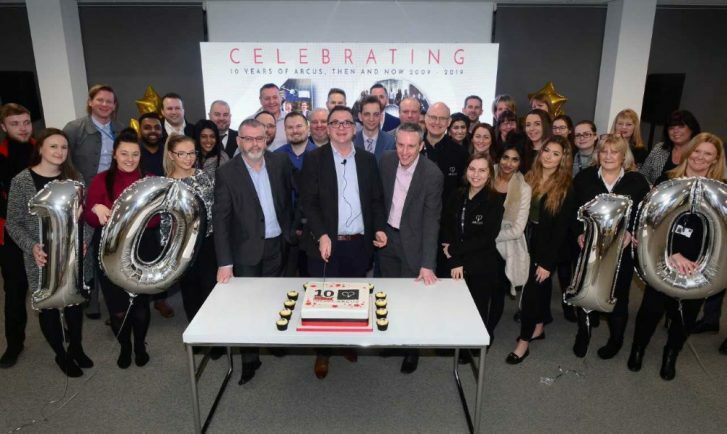 REDDITCH-based facilities management firm Arcus is celebrating its tenth anniversary. Starting with a team of 200 the organisation has grown to over 15 times its original size and now boast more than 3,000 colleagues. The company has not only grown in size and reputation, but it has also expanded its services to include, monitoring and evaluation, Heating, ventilation, and air conditioning, refrigeration and soft services. In 2009, Arcus began a joint venture with its primary client, Sainsbury’s. It was during those first few years that the business went from strength-to-strength, expanding the scope of services. Now a national service as part of the 10-year celebration Arcus has launched a new website at www.arcusfm.com which features the people of Arcus while reflecting the vision and values of the company.